The original Huawei Watch might still be one of the best smartwatches on the planet (our review). Actually, no, it is one of the best. With its classic design, fantastic AMOLED display, solid performance, and and range of variations, I’d still choose this watch over some of the new Android Wear devices that have been released, even over the yet-to-be-released Huawei Watch 2. Right now, if you head over to Amazon, you’ll find the original Huawei Watch at a heck of discount that drops the price to $164.88. That’s close to half off the original retail price and is borderline impulse buy territory. This is the silver with black leather band model, though almost all others are discounted heavily too. UPDATE: Hmmm, that $165 price is now gone. That could have been a lightning sale or maybe they sold through their lot at that price. Still, the prices on the other models below are good. $219 for the mesh version is a great price. The all-black model with black steel band is just $249.99 ($150 off), while the mesh stainless steel version is $219.99 ($130 off). 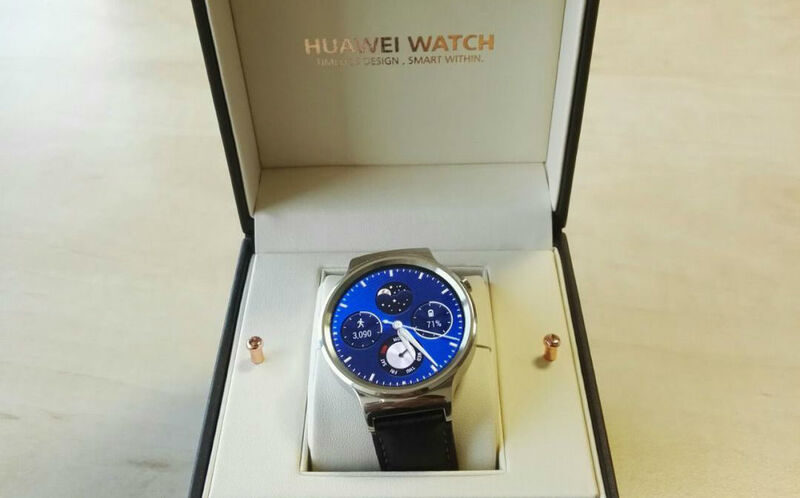 Oh, and let’s not forget that the Huawei Watch will see Android Wear 2.0 here in the near future.